The global trend that is brewing against corruption is absolutely everywhere. Vietnam is dealing with rising public anger over corruption that has unfolded in and out of government. 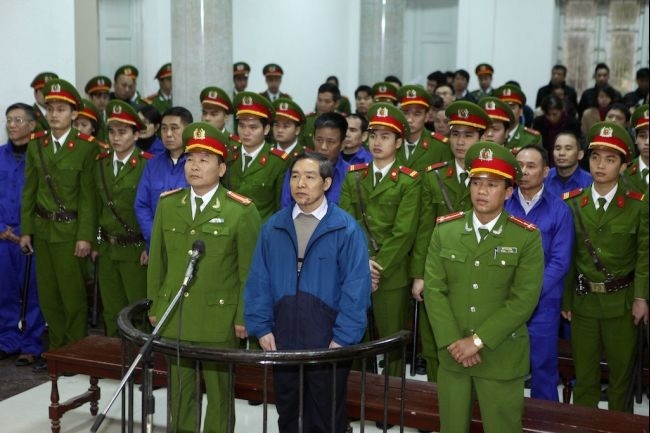 Duong Chi Dung (C-front), 56, is the former chairman of Vinalines, and his accomplices stand in the local People’s Court in Hanoi. The top two executives were sentenced to death for embezzlement as authorities try to allay rising public anger over corruption. Where US bankers got bonuses after 2007, the story is very different elsewhere.